Hogarth’s Pest Control specializes in Fruit Fly removal. In the warmer months, one of the most common household nuisances that we receive complaints about are fruit flies. Fruit flies are the tiny gnat-like pests that buzz around sink drains, trash cans, and even on food. Fruit flies are usually brought into a home by fruit from the supermarket, or by simply leaving a door open. Eliminating a fruit fly issue comes down to cleanliness. They key method is by breaking up/disrupting their life cycle. Fruit and vegetables should be stored in the refrigerator at all times; soda, fruit juices, as well other sticky substance spills should be taken care of immediately; and dirty dishes or cans should be properly disposed of, as these areas are typically breeding ground for fruit flies. For those who live or work near orchards, even the cleanest home may still experience a fruit fly issue due to rotting fruit. One of the best and simplest solutions is to keep a fan blowing at the most frequently used door. This works toward keeping the flies outside because, due to their tiny stature, they are unable to fly against the force of the wind. This trick actually works with most species of flies because they aren’t strong enough to fly against the blowing air. 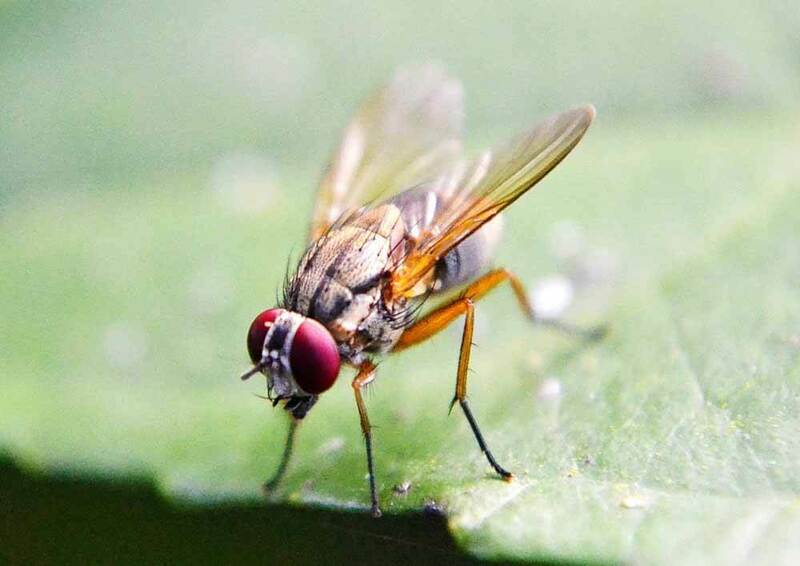 If you’ve exhausted your personal attempts and still can’t seem to shake a fruit fly problem, Hogarth’s can inspect your property and assist in eradicating the issue completely.